MONTREAL, Canada, Sep 20 (IPS) – Delegates from 191 nations are on the verge of an agreement under the Montreal Protocol for faster elimination of ozone-depleting chemicals, but the United States insists it must continue to use the banned pesticide methyl bromide. Even as another enormous ozone hole forms over the Antarctic this week, the rest of the world appears to be giving in to U.S. demands despite the fact that the use of methyl bromide in developed countries was supposed to have been completely phased out by Jan. 1, 2005 under the Montreal Protocol on Substances that Deplete the Ozone Layer. “It’s a black mark on this meeting. It is the chemical that must not be named,” said David Doniger, climate policy director at the Natural Resources Defence Council, a U.S. environmental group. 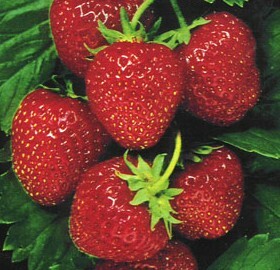 “There is a powerful lobby group of strawberry and vegetable growers in Washington,” Doniger told IPS. Methyl bromide is a highly toxic fumigant pesticide which is injected into soil to sterilise it before planting crops. It is also used as a post-harvest decontaminant of products and storage areas. Although it is highly effective in eradicating pests such as nematodes, weeds, insects and rodents, it depletes the ozone layer and poses a danger to human health. While alternatives exist for more than 93 percent of the applications of methyl bromide, some countries such as the U.S., Japan and Israel claimed that because of regulatory restrictions, availability, cost and local conditions, they had little choice but to continue its use as a pest control. And so despite the ban, the Montreal Protocol allows “critical use exemptions” for countries to continue to use banned substances for a short period of time until they can find a substitute. In 2006, the United States received an exemption to use 8,000 tonnes of methyl bromide, compared to 5,000 tonnes for the rest of the developed world combined. 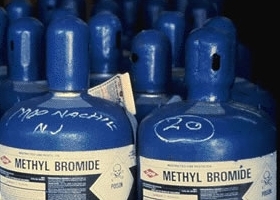 At the 19th Meeting of the Parties here in Montreal, the committee reporting on methyl bromide use reported “excellent progress” in the continuing phase-out of the chemical and that not many applications for critical use exemptions had been received. The notable exception continues to be the U.S., which has applied for 6,500 tonnes for 2008 and 5,000 tonnes for 2009, even as the rest of the developed world has dropped significantly to just 1,900 and 1,400 tonnes, respectively. The delegate from Switzerland expressed concern that some countries were asking for large amounts and that 40 percent of the stocks were not being used for critical uses. The United States maintains a large inventory of methyl bromide in excess of 8,000 tonnes, but the U.S. representative said these would be used up by 2009. Emissions of methyl bromide have an immediate impact on the ozone layer, noted Janos Mate of Greenpeace International. “Scientists think it has three to 10 times the impact of other chemicals,” Mate told IPS. I am appalled that my government gets away with this! Why should the U.S. be exempt and who makes these decisions? Why haven’t they found a substitute??? It’s always going to be too little too late. The politicians don’t listen to the experts, the scientists, who are trying to save the world!